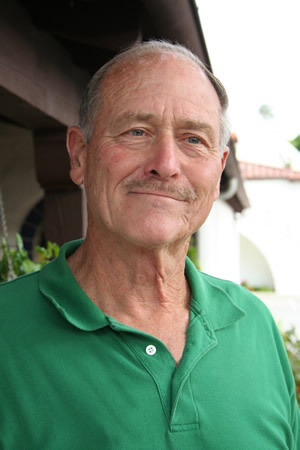 Bruce Scherer, a local resident who served on the board of the Laguna Beach County Water District, died Nov. 11. He was 80. Scherer was appointed to the board in 1976, which began his 39-year tenure protecting and ensuring Laguna Beach’s water supply. When the district became a subsidiary of the City of Laguna Beach in 2000, Scherer was appointed to the district’s commission where he served as chairman until his passing. “His passion, commitment, and zeal were all too unique. He was truly one-of-a-kind,” said district general manager Renae Hinchey in a statement. In 2006, the mural “Canyon Preserve,” by local artist Michelle Taylor, was installed on an exterior wall of district headquarters to honor Scherer. The mural depicts Laguna Canyon, an access route and source of water for early residents. As a commission member, Scherer served on oversight committees for engineering, personnel, and efficiency. He worked tirelessly to ensure a reliable water supply for residents and was passionate about securing alternate sources. A celebration of his life is planned for an as yet undetermined date in January.